The Alcatel One Touch Idol was announced earlier in the year, the handset is now available in the US, and it retail for $300, this is for the unlocked version of the handset, which means you can use it with your existing mobile carrier. 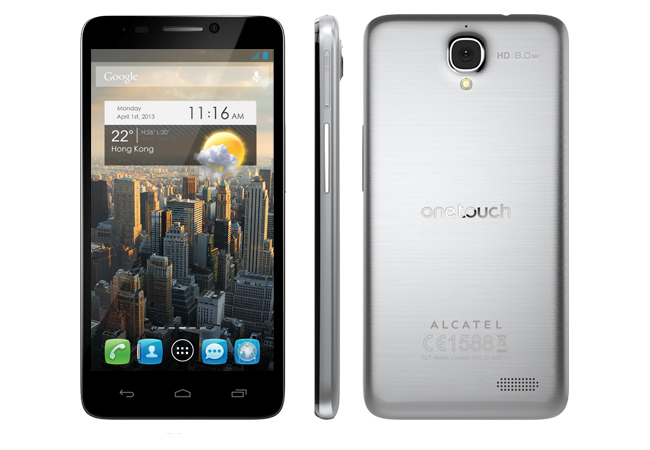 The Alcatel One Touch Idol features a 4.7 inch AMOLED display with a resolution of 960 x 540 pixels, plus a dual core processor clocked at 1.2GHz, and Android Jelly Bean, it comes with 521MB of RAM and 4GB of built in storage. Other specifications on the Alcatel One Touch Idol include an 8 megapixel camera, the device is also light weighing in at just 3.88 oz (110 grams), you can find out more details over at Alcatel.